Lyndall Bryant has been on the academic staff QUT’s School of Built Environment and Civil Engineering as a lecturer in Property Economics since 2009. Prior to joining academia, Dr Bryant had almost 20 years working in the housing development, corporate property and finance sectors, holding management positions in some of Australia’s leading property development companies and consultancy firms including Stockland, Mirvac, Macquarie Bank and Ernst & Young. She specialises in property development, property finance and economic sustainability (such as, feasibility analysis, finance, options analysis, and barriers to supply). She has written and presented research papers and reports on various property development, infrastructure and housing affordability matters as well as other financing related policy issues. These works had been used by a range of stakeholders including national corporations, government agencies and policy makers at all levels of government. Dr Bryant is a Registered Valuer in Queensland as well as a Certified Practicing Valuer under the provisions of the Australian Property Institute. She sits on the national board of EnviroDevelopment, an independent, national sustainability rating tool; is a board member of the Pacific Rim Real Estate Society and serves on a number of University and industry committees. 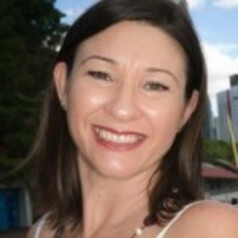 She is a regular presenter in the Urban Development of Australia’s (Qld) education series as well as at other industry events and training forums. Dr Bryant holds postgraduate qualifications (GradDip in Advanced Finance and Investments) from the Securities Institute of Australia (FINSIA) and her PhD is from Queensland University of Technology.